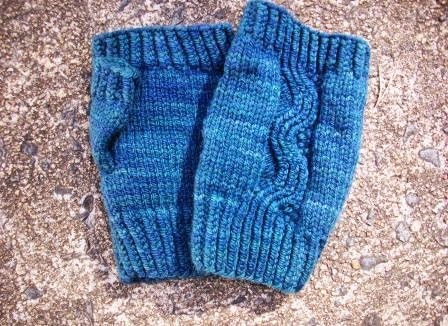 I enjoy knitting fingerless mitts. These are knitted using yarn given to me, so I'm not sure of the exact fiber content. I suspect the yarn is a wool blend. 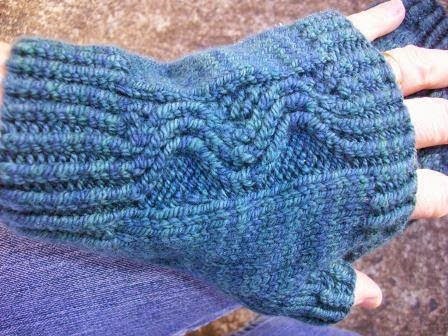 The pattern is Nalu Mitts by Leila Raabe.